As consumers in India seek variety and innovative products, there’s a lot of interest among investors for healthier products. 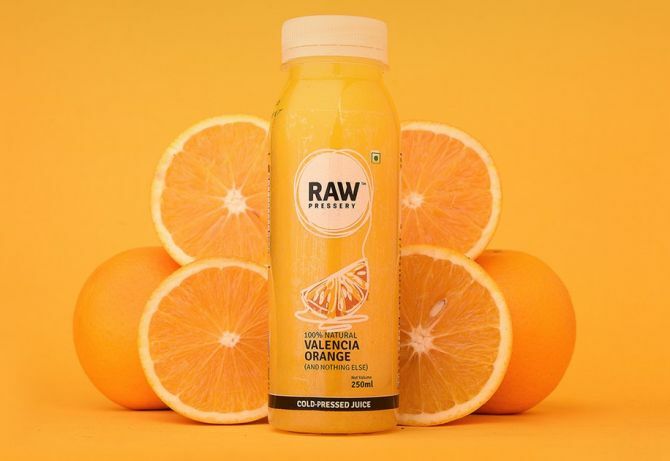 Recently, Rakyan Beverages, which sells organic cold-pressed juices and other beverages under the brand Raw Pressery, raised $6 million. The investors included Sequoia Capital, Saama Capital, and DSG Consumer Partners. Early October, condiments and sauce maker Veeba Foods raised $6 million from Verlinvest, a Belgium-based family office, Saama Capital and DSG Consumer Partners. Fingerlix, a ready-to-cook food brand, raised $7 million from Accel and Zephyr Peacock in October. As consumer behaviour evolve in India, investors are turning bullish on the consumer space, driven by multiple factors. ‘‘Consumers in India are seeking variety, innovative products, similar to global trend. "There’s a lot of interest for healthier products,’’ says Kanwaldeep Singh, founder and managing partner, Fireside Ventures. "The growth of modern trade and organised retail has made infrastructure available for a faster build out," he says. "Consumer behaviour changes in every few years, and we have been backing innovative product companies that can drive change,’’ says Arjun Anand, investment associate, Verlinvest, which only invests in consumer firms globally and backed firms like Glaceau Smartwater and sold it to Coca-Cola for $4.2 billion and the $300-million VitaCoco. Verlinvest has backed companies like wine-maker Sula (2010), Future Consumer (2011), Epigamia and Veeba Foods (both 2017). Sula is a $100-million firm with 70 per cent category market share while Future Consumer enjoys a market cap of $1.5 billion and growing 50 per cent a year. While investors like Saama Capital, DSG Capital Partners and Sequoia Capital have been investing in consumer firms, other venture capital firms are increasingly looking at investing in consumer firms. ‘‘When we first raised money, there were only a handful of people investing in consumer firms. This has changed in the last 15-18 months,’’ says Viraj Bahl, founder, Veeba Foods, which raised money in October. ‘‘Funds seem to have woken up to consumer firms. They have plants, assets and people on the ground,’’ says Bahl. Saama Capital has been investing in the consumer space since 2008. ‘‘The Indian consumer has been evolving and demands better products in terms of quality, ingredients and packaging,’’ says Ash Lalani, managing partner, Saama Capital India Advisors. It has backed Sula Wines (2008), Satya Paul (2010), Chai Point (2013), Veeba Foods (2015), Raw Pressery (2016), The Moms Co. (2017). ‘‘Both Raw Pressery and Veeba are exciting companies in terms of the number of products and verticals they continue to launch and have an exciting future,’’ says Lalani. What’s new is that many family offices like Mariwalas, Munjals are also investing in consumer firms. What’s encouraging them is that many firms like Paper Boat and Beer Café have scaled up, investors have made good exits on firms like Marico, Godrej Consumer, and Prataap Snacks. Photograph: Kind courtesy, Raw Pressery.